9 Blue Moon Lane, Santa Rosa Beach, MLS# 818094: ERA American Real Estate Buy A Florida Vacation Home, Schedule a Showing, Call Brandon Jordan of ERA American Real Estate Today! 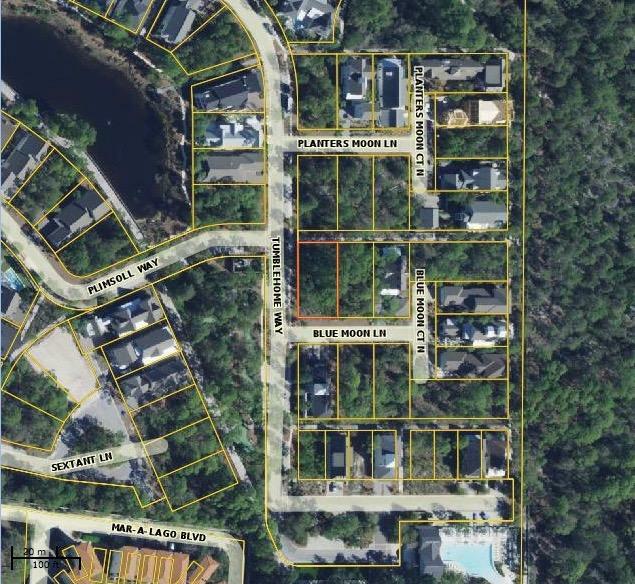 This is one of the most sought after corner lots in Watersound West Beach and ready for a new owner who wishes to start home construction right away. This currently available lot is in the east side of the ``Park District`` which is very close to the Community Pool & amenities and across the street from the large Park Lawn. This ideal lot comes complete with design plans for a large home and carriage house, with paid DRB approval fees, paid utility connection fees, and a construction cost estimate all ready completed saving a new owner about one year of time and the ability to start construction very quickly. So, if Watersound West Beach is the place for you then this Lot #89 is a golden opportunity to achieve your dreams and vision for that most perfect ``Place at the Beach``. This information was last updated on 4/17/2019 10:07:43 PM.